The Delawana Resort is now accepting 2018 reservations online! 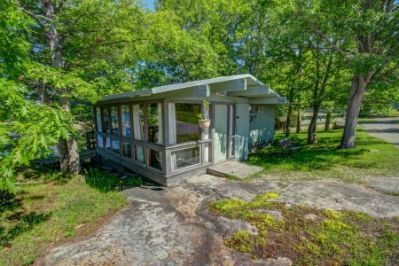 Book your desired Muskoka Cottage Rental, Georgian Bay Waterfront Suite Rental, or Lakefront Room Rental online through our website. Our Cottage rentals now include kitchenettes in the Blueberry, Honeysuckle, and Sand Cherry Cottages. We've also added larger fridges that will compliment your stay with us in these comfortable cottages. These popular rentals won't be available long with these additions! New for the 2018 season are the Beeches Suites, now fully upgraded. These units include Muskoka waterfront views of the North Beach, Tiled Floors, Living Room & Dining Room, Kitchenette with Full Size Fridge, Charcoal BBQ, Wifi, Large Private Deck, Flat Screen TV, 2 Queen Beds and many more upgrades! We have great offers for our Family Cottage, Cottages, Suites, and Rooms rentals for the Spring and Fall Seasons at the Delawana Resort. Our Muskoka Family Cottages start at $1150 for 2 nights, and only $1800 weekly. Book for 3 nights for only $50 more! Muskoka Cottages and Suites start at $500 for 2 nights, and only $700 weekly. Book for 3 nights for only $25 more! Resort Rooms start at $200 for 2 nights, and only $500 weekly. Book for 3 nights for the price of 2 nights!